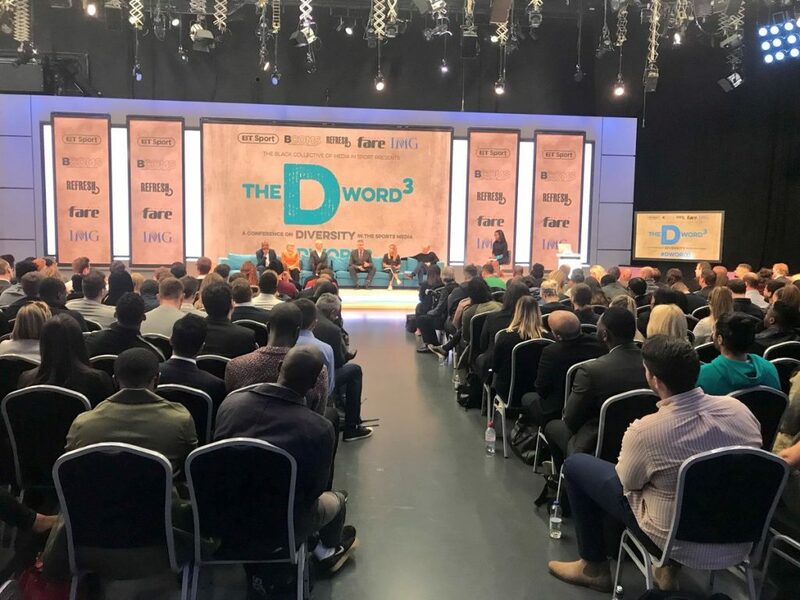 The FWA’s commitment to diversity in the media was reflected in a strong turnout at the third D Word conference - superbly organised as usual by FWA member Leon Mann - at BT Sport’s headquarters near West Ham’s London Stadium this week. At least a dozen FWA members were spotted in the packed-out hall and both Carrie Brown and I took part in panel discussions, watched from the front row by fellow national-committee member Philippe Auclair. The subjects covered were, as you would expect from a diversity event, wide-ranging, but familiar themes inevitably emerged. Figures produced by Leon and his team showed that, while the rise of women in the sporting media continues encouragingly, those who happen to be black and minority ethnic have fared far less well over the two years since D Word 2. Indeed BAME progress in our field of work, male or female, has seemed to be confined mainly to former sports stars. It is an unhealthy situation and according to some attendees the remedy was for employers to cast their nets wider. From both BBC and ITV came promises to maintain progress in this respect. Meanwhile there were calls for more widespread mentoring and on the FWA’s behalf I mentioned our efforts, which include a scheme open to all student members overseen by Jim White, and stressed that impressive candidates of any background, once introduced to a newspaper or broadcasting environment, would make enough of an impact to be invited back. I also outlined the process by which we recently improved the diversity (gender, ethnic and age-wise) of our national committee, while making clear that this was only a start and that we had to be open to the world of blogging - by a happy coincidence, this is one of the ways BAME aspirants can make their own luck, and we look forward to welcoming them into an ever-more-diverse FWA.